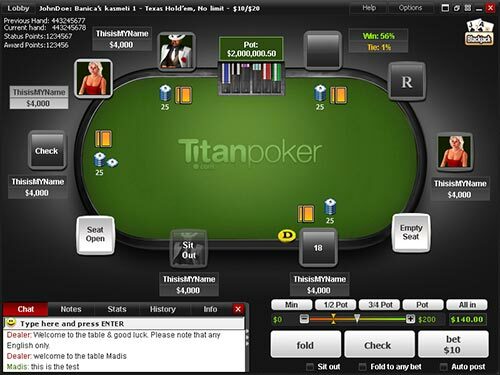 Titan Poker is the flagship room on the iPoker Network, benefiting from the large shared traffic. Established since 2005 it has been a constant in an ever changing online poker landscape. Titan Poker is the flagship poker room on the well established iPoker Network. This means that it gets to enjoy a good level of player traffic to it’s tables as iPoker is 3rd in the traffic rankings. Having been established since 2005, Titan is a name that is well known and has built up it’s reputation over turbulent times in the online poker world which has seen lots of operators disappear off the radar. Titan Poker’s software is made by Playtech and is part of the iPoker network. The Playtech software is well thought of in the industry and the Titan Poker software is an excellent example. the Titan Poker software is tidy, fast, feature packed and available in multiple languages, including English, German, French, Spanish and Italian. The graphics are advanced and present a pleasant experience for all. The functionality of the software is excellent with many features such as buddy list function, players notes, multiple sound / character options, game histories, live floor managers and many more. The performance of the software is fast and smooth with a simple user interface and you can play up to 16 tables simultaneously which is great for those who like to multi-table. It is available for both Windows and Apple Macintosh platforms. At the moment there is no way to play poker at Titan on a mobile device such as iPhone, iPad or Android, other than via their no download version in your web browser, however there is a tournament planner app for the iPhone and iPad. Titan Poker is an excellent site for the lower stakes players with great player traffic figures on the lower stakes tables all the way up to $2/$4. It also has a decent player traffic on the higher stakes tables. As already mentioned the player traffic is from a shared player pool on the iPoker Network, meaning you are not just playing with those from Titan Poker, but also from the other poker rooms on the Network. As iPoker is 3rd in the traffic rankings this ensures there is always tables and tournaments to play at 24/7 with an average of 3923 cash game players online during peak times. Titan Poker offers a decent selection of games, with Texas Holdem, Omaha, Omaha Hi/Lo, 7 Card Stud, 7 Card Stud Hi/Lo, Sit & Go Tournaments, Multi-Table Tournaments, Casino Games, Sports Betting, and with most poker games offered in limit, pot-limit and no-limit versions. Table stakes range from $0.01/$0.02 to $50/$100 for Texas Holdem and $0.02/$0.04 to $5/$10 for Omaha. All games are also available for play money if you wish. Poker Tournaments selection is good, with Heads-Up, Sit-and-Go and fixed schedule multi-table tournaments on offer. Finally you can play “fast fold” poker at Titan with their version which is called Speed Poker. With both Titan Poker and the iPoker Network being established for some years now, you get a mixed bag of players. There is a good pool of regular players that have played there for a number of years and are experienced players, but on the other hand the network is constantly attracting new players from both it’s casino division and through some big name real world retail betting companies who bring in novice players to the network. 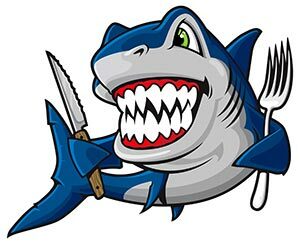 So Titan Poker is OK for player toughness, as long as you watch out for the good players there are lots of fish there for the taking. The support service offered by Titan Poker is good, and you should receive a quick and professional answer to any problem / query you have. They have constant 24 hour live support which you can access within the software itself. 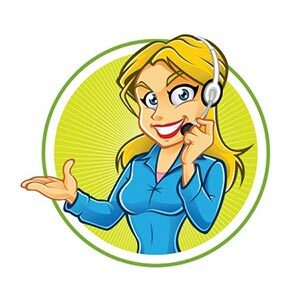 You can also contact support by telephone or via email both of which are available 24 hours a day to answer any questions you may have regarding hand histories, buying chips, cashing out, or anything you can think of. I tried out their telephone support with a test query and the assistant knew the answer and offered a quick resolution, so they get a tick for that! Titan offers most of the common deposit methods including popular credit cards and internet eWallets. Full details are included in the data section of this review. The deposit process is very fast, and with most methods you will have the funds instantly available to play with. Withdrawals are usually made to the same method that you deposited with, and will usually take between 1 to 4 days depending on the method used. Titan Poker charge a commission on the pot in each hand, this is called the “rake”. The Rake appears very reasonable in terms of the industry average. The rake per hand varies depending on the stake level of the table but ranges from $0.05 for every $1 in the pot at the lower limit tables up to a maximum of $3 on the higher stake tables. 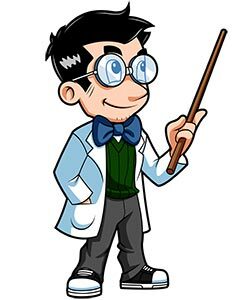 Titan Poker offers a very special bonus to members of our community who sign up to Titan using any link on Poker Professor. They will give you a massive first deposit bonus of 200% up to $2000. This is the biggest bonus currently available from any poker room as far as I know, so if you like clearing bonuses then this is a great option for you. The bonus will be released to you in $5 increments and to clear the bonus you just have to play poker at ring games or tournaments and you will automatically earn Titan Poker Points. For each 300 points you earn, $5 of your bonus will be automatically credited to your player account. 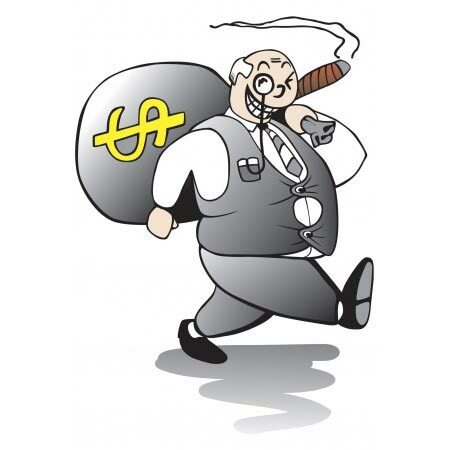 This is a significant advantage over the sites where your bonus is only released to you in one lump sum when you have met all the requirement, this method gives you stage payments. Also the fact that only have to be dealt hands to earn points is a major advantage over other sites, where you only get points for the hands where you contribute to the pot. Regular players will also earn themselves V.I.P status on Titan Poker. The V.I.P. program awards players with Faster Points accumulation, more frequent cash outs of points, exclusive V.I.P player freeroll tournaments and special Reload Bonus offers. The iPoker Network is a large and established network, who regulate and monitor all the poker rooms that operate there. Titan is included with that and as the flagship room have to be seen to set an example. 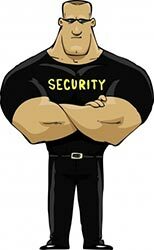 As you can see from this, Titan Poker take this matter very seriously and as such their software and financial transactions are extremely secure. No software for Mobile devices such as iPhone / iPad / Android which is lagging behind some other poker rooms.